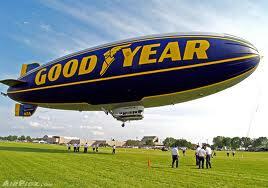 Have you ever seen the Goodyear blimp flying overhead above football stadiums or other events? One hundred years ago, blimps, dirigibles and Zeppelins were the way to get around if you wanted to fly. Today, these airships have been largely replaced by planes and jets. But what exactly is the difference between the three? All three have a long cigar-shaped tube filled with gas. All three also have a cabin underneath the tube where the crew and/or passengers sit. All three can be steered and controlled. All About Blimps, Dirigibles and Zeppelins: Blimps have soft sides. If the gas is released, the blimp collapses. Blimps have soft sides. If the gas is released, the blimp collapses. Dirigibles might be semi-rigid or rigid. Semi-rigid dirigibles also collapse if the gas is released, but they have some metal framing. Rigid dirigibles have a metal frame that completely encloses the tube and provides a place for passengers and crew members to comfortably ride. The frame is covered with fabric and keeps its shape even when the gas is released. A Zeppelin is simply a dirigible made by the Zeppelin Company. Dirigibles might be semi-rigid or rigid. Semi-rigid dirigibles also collapse if the gas is released, but they have some metal framing. The first airship was invented by Henri Giffard in 1852. He launched his ship from the Paris Hippodome, traveling about 20 miles at a speed of 6 miles per hour. 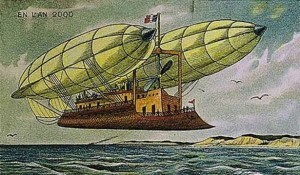 The first airships contained hydrogen, which is lighter than air. Hydrogen is also very flammable and dangerous. It was replaced by helium. Ferninand, Count Von Zeppelin made highly successful airships in 1900. Germany used these ships during World War 1 to bomb London and France. In 1928, the Graf Zeppelin was completed. This airship made 590 flights and crossed the Atlantic Ocean 144 times. Passengers regularly traveled across the ocean in the Graf Zeppelin. Airship travel was discontinued in the late 1930s because the ships were expensive to operate and maintain. They were also dangerous and often crashed in storms. 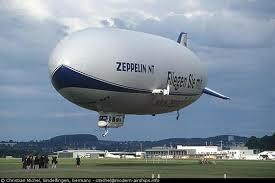 Zeppelin is simply a dirigible made by the Zeppelin Company. In 1928, the Graf Zeppelin was completed. This airship made 590 flights and crossed the Atlantic Ocean 144 times. On May 6, 1937, The Hindenburg Zeppelin erupted in flames and was engulfed in less than one minute. 62 of the 97 people aboard miraculously survived. A video about the RC blimp with HDV camera. 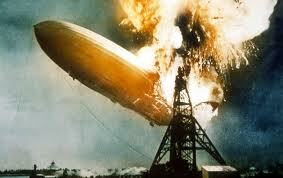 Question: What was the Hindenburg Disaster? Answer: On May 6, 1937, The Hindenburg Zeppelin was landing in Lakehurst, New Jersey, after crossing the Atlantic Ocean. Just moments before landing, the ship erupted in flames and was engulfed in less than one minute. 62 of the 97 people aboard miraculously survived. Most of them jumped from the windows of the airship. This disaster marked the end of commercial travel by airships. Enjoyed the Easy Science for Kids Website all about Blimps, Dirigibles and Zeppelins info? Take the FREE & fun all about Blimps, Dirigibles and Zeppelins quiz and download FREE Blimps, Dirigibles and Zeppelins worksheet for kids. For lengthy info click here. Declan, Tobin. " Facts About Blimps, Dirigibles and Zeppelins for Kids ." Easy Science for Kids, Apr 2019. Web. 21 Apr 2019. < https://easyscienceforkids.com/all-about-blimps-dirigibles-and-zeppelins/ >.